With a camera which he had stolen from his film school Werner Herzog travelled to South America to make his movie. 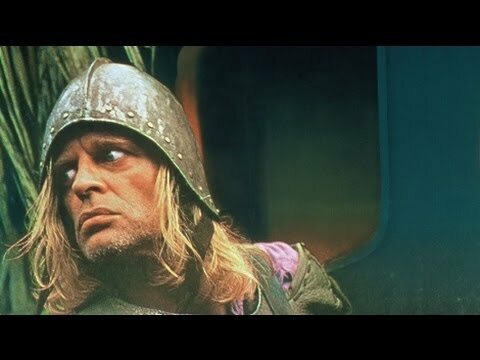 To realize the story Herzog worked together with actor Klaus Kinski, who was very difficult to work with in circumstances which tested the whole crew. Based on the travels of Aguirre who was nicknamed El Loco (‘the Madman’) because of the cruelty he inflicted. Best known for his final expedition in 1560 which included his daughter Elvira, 300 Spaniards and hundreds of natives, who travelled along the Amazon River in search of the mythical golden King El Dorado. The actual goal of Ursúa who authorised the expedition was to misslead Agguires men, using the El Dorado myth as a lure. A year later Aguirre participated in the overthrow and killing of Ursúa. When Aguirre was eventually captured in 1561 he killed his own daughter for the fear of what would happen. Travel by boat along the River Huallaga to reach El Pongo De Aguire. Visitors can get a feel for this untouched, wild Amazon, situated where the Huallaga meets the Marañon River, from this point it is possible to travel to the port city of Yurimaguas, Loreto, where you can continue on to Iquitos.